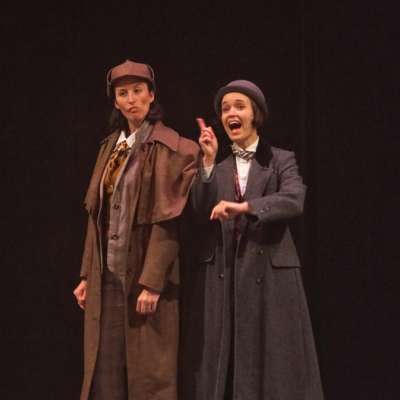 Women have been winning over Holmes fans in recent years, and in our current production Baskerville: A Sherlock Holmes Mystery, Park Square is continuing the conversation with women playing both Sherlock Holmes and John Watson. Here is a sneak peak of this perfectly contrasting pair. As Lisa Brock in the Star Tribune writes, “McKenna kelly -Eiding perfectly embodies Holmes’ authoritative manner and sly condescension while Sara Richardson, one of the Twin Cities’ finest clowns, delivers a delightfully wide-eyed Dr. Watson.” Director Theo Langason shares what changes it took (or didn’t) to adapt the play for these two fine actors! The game is afoot, hilariously! Get your tickets now to see these two in action for yourself!